So what comes first – freedom or happiness? I’ve been thinking lately of something B.K.S. 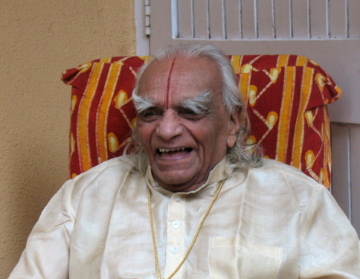 Iyengar wrote in Light on Life, his summary of yoga wisdom at the age of 87. A great boon of yoga, even for relative beginners, is the happiness it brings, a state of self-reliant contentment. Happiness is good in itself and a basis for progress. An unquiet mind cannot meditate. A happy and serene mind allows us to pursue our quest as well as live with artistry and skill. Does not the American Declaration of Independence talk of Life, Liberty, and the Pursuit of Happiness? If a yogi had written that, he would have said Life, Happiness, and the Pursuit of Liberty. You can read the full section at ofspirit.com, or better yet, buy the book and read the whole thing. Guruji’s words sprang to mind after I watched Shawn Achor’s TED lecture on The Happiness Advantage. The lecture is funny, smart and well worth the 12 minutes and 30 seconds – and it’s embedded below, so if you have time, do check it out. But, in fact, as soon as we succeed in one area, we reset the goal posts. B.K.S. Iyengar at 90: apparently yoga does make you happy. The student who works long and hard to balance in headstand in the middle of the room will be happy, but only until the next challenge – a longer holding, some variations, perhaps full lotus in headstand – comes into view. If happiness is always on the other side of success, and success always moves, then we can never be consistently happy. The new model, supported by extensive research in positive psychology (the study of happy, high-functioning people), is that first we need to be happy, then we’ll work more effectively, and that will increase our levels of success. When our brains are in a positive state, as opposed to being negative, neutral or stressed, they release more dopamine, and dopamine not only makes you happier, “it turns on all the learning centres in your brain, allowing you to adapt to the world in a different way,” Achor says. • practicing random acts of kindness. A full yoga practice includes exercise, meditation, and the conscious effort to act with kindness toward all beings – three out of five. And in my experience, gratitude tends to rise spontaneously as we see what practice brings to our lives. No wonder yoga has such power to make us happy. It makes sense: unhappy people can never be free, because they are always bound by the need to change whatever they perceive is the cause of their unhappiness. Here’s the TED lecture. Enjoy. 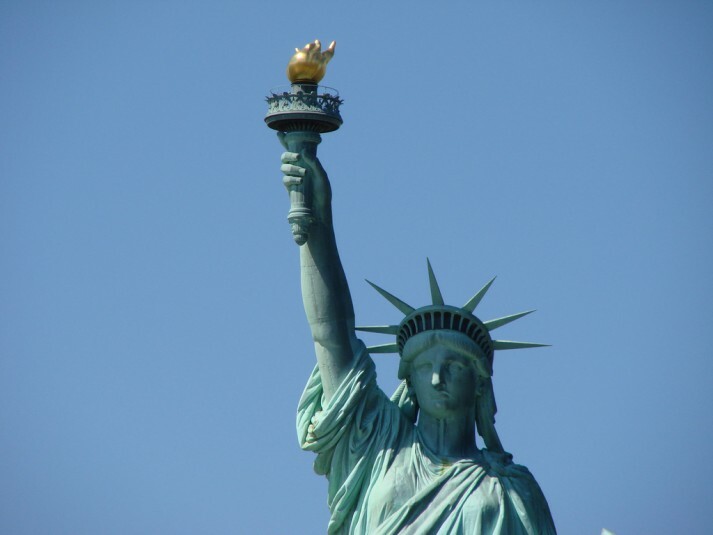 Statue of Liberty photo courtesy of Allie_Caulfield, via Flickr. Sounds good to me. Certainly my experience I can’t imagine life without yoga. Even if it’s only the feeling of freedom of space in the body after a good practice. The TED is not showing up in my email! Thanks Eve. “the feeling of freedom and space in the body” is a great way to describe it!